Mrs. Rawan Barakat is Born in 1986 in Amman. She is a visually-impaired social activist and the founder and manager of Raneen, a non-profit foundation that creates Arabic audio-stories for children in order to develop their listening and communication skills. Raneen, which means echo in Arabic, seeks to teach youth about prominent stories in the Arab culture through audiobooks for ages five through sixteen. The foundation has established an audio library that includes stories written by some of the leading authors in the Arab world and narrated by famous Arab actors. Barakat has established approximately 150 audio libraries in different schools, reaching over 20,000 children across Jordan and the UAE, as well as around 600 teachers and mothers who have been trained in new and creative storytelling methods. Raneen continues to expand its outreach to the rest of the region, especially taking into consideration marginalized communities. Barakat also works with students, teachers, families, and communities to shift the traditional, rote-memorization based educational environment to an interactive and inductive system. Furthermore, Barakat dedicates her time to ensure that special needs children are able to get the education they need to be included in socio-cultural life. Born visually-impaired, Barakat grew up in a very supportive family who ensured she received appropriate schooling and always encouraged her to take opportunities and challenge herself. There were few Braille books at the time, so her mother read to her every night. Growing up with this oral tradition inspired Barakat to found Raneen. 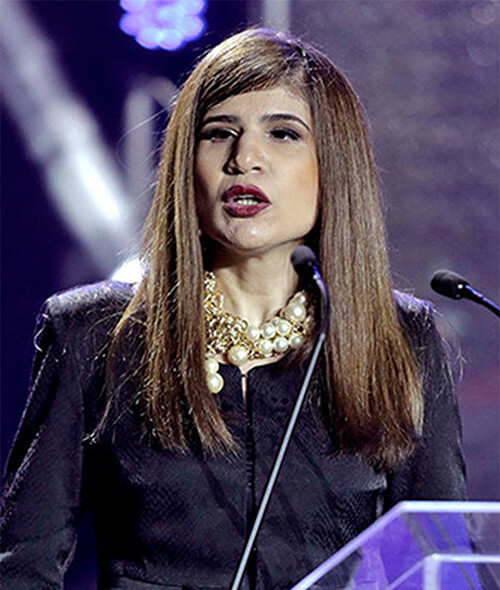 Before starting Raneen, Barakat studied at the renowned Jordanian branch of The National Center of Culture and Arts and in 2008 received her BA in Theatre Arts from the University of Jordan, making her the first Arab blind Theatre Arts student in the region. In recognition of her ground-breaking efforts, Barakat received the Synergos Arab Social Innovator award in 2011, the Sheikha Fatima Bint Mubarak Award for Globally Influential Arab Youth in 2013, and the Order of Al Hussein for Distinguished Contributions of the Second Class in 2015. She is also an Ashoka Fellow.